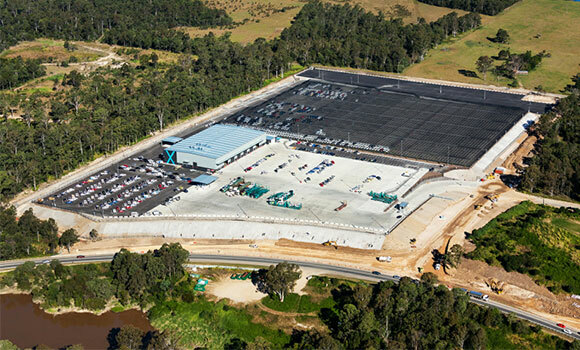 The PrixCar Services car processing facility and transport depot at Willawong, an outer suburb of Brisbane, was developed and constructed as a joint venture between the national group Commercial and Industrial Property (CIP) and site owner, local developer Chris Matheson. The completed development won the 2016 UDIA QLD award for Environmental Excellence for CIP. Costin Roe Consulting was responsible for the civil and structural engineering of the development site and construction. The 14.65-hectare site was used as rural grazing land in the 1970s and subsequently converted into a landfill site, receiving approximately 1.5 million cubic metres of material over the ensuing 30-year period. 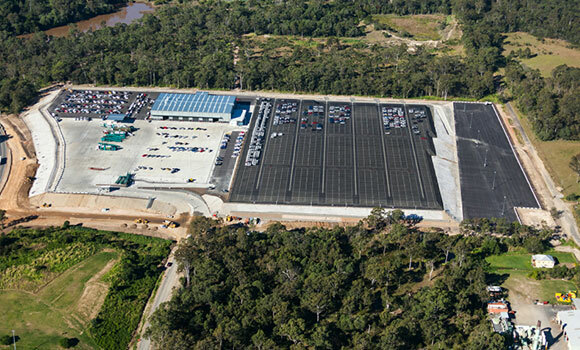 Commercially-attractive attributes like easy B-double (semi-trailer) access to major motorways, and proximity to the Port of Brisbane and Brisbane CBD, meant the site would become ripe for rehabilitation and development. 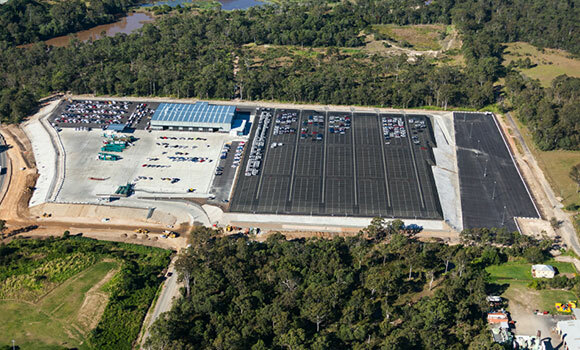 The new vehicle processing facility, purpose-built for PrixCar on a 25-year lease, incorporated a warehouse and office space of 4,400m², a pre-delivery area of 12,500m², pavements of 103,400m², and a hail-netting area of around 47,300m².